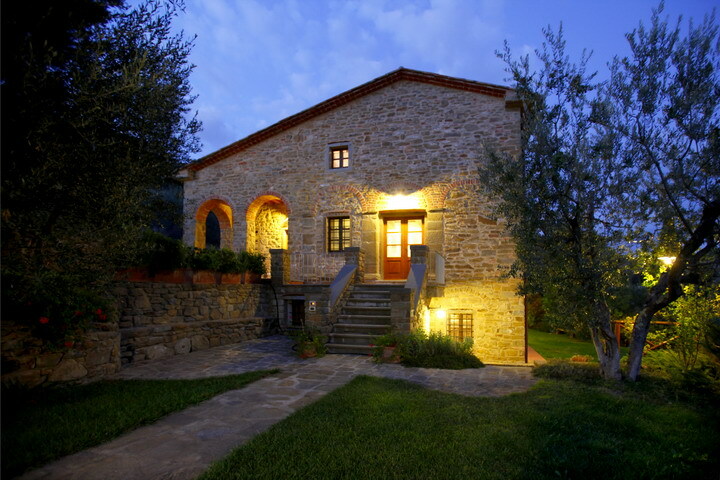 Villa del Colle is an antique Tuscan farmhouse recently reconstructed situated in a beautiful hilly position. 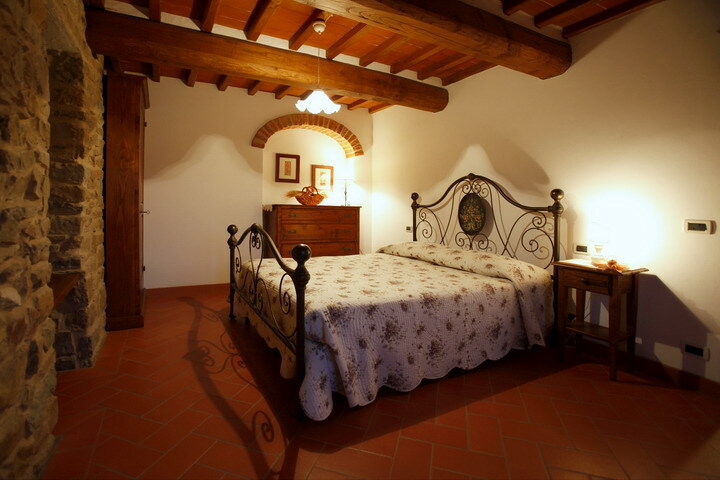 The painstaking reconstruction of the farmhouse has kept the fascination of the antique Tuscan residence with Terracotta tiled floors, visible stones and visible wooden beams. 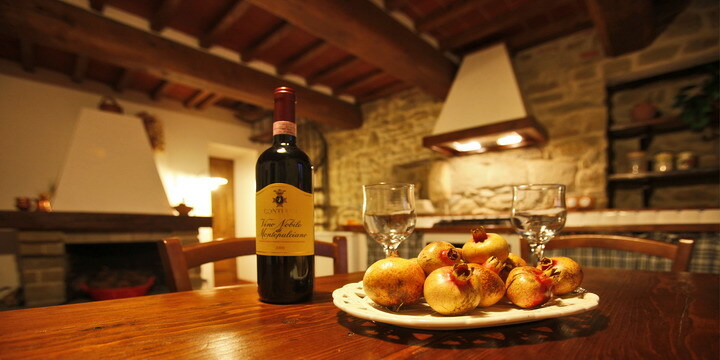 The farmhouse is very spacious and can accommodate groups of friends or family for a total of 14+2 people. The big and well-kept garden hosts the big pool for exclusive use of the guests and is equipped with garden furniture and gazebo. Here is also a stone annex consisting of a fully equipped kitchen with dining table: ideal for cooking and enjoying your meals outdoors. In the annex there is also a bathroom. 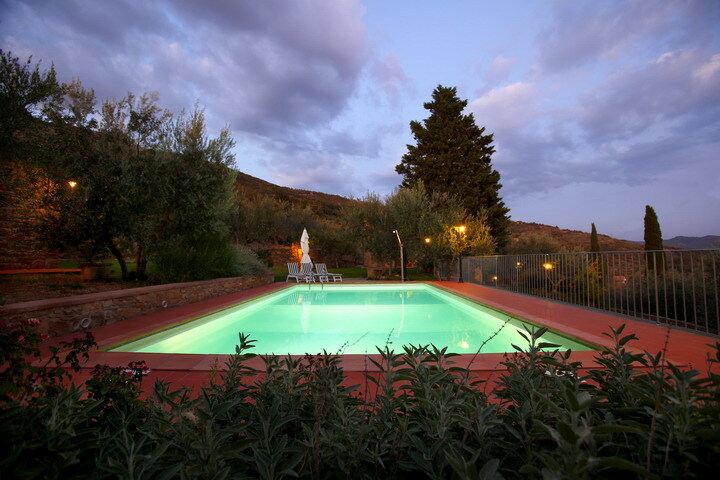 At Villa del Colle, in complete privacy and tranquility, you will enjoy an extraordinary view on the town of Castiglion Fiorentino, easily reachable in a few minutes. OLEANDRI: Ground floor well equipped kitchen with spacious dining room, living room with sleeping sofa and tv, one bathroom with shower. First floor a double bedroom, a small bedroom with bunk bed, and a bathroom with shower box. Second floor a double bedroom and a bathroom with shower. LILLA Ground floor kitchen and dining area, living area with sleeping sofa, one bathroom with shower. 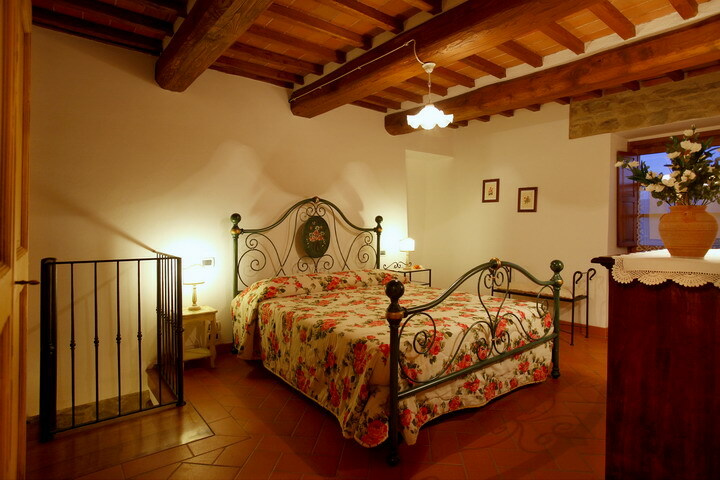 First floor: double bedroom and one bathroom with shower. Second floor: double bedroom and bathroom with shower. The 2 apartments are connected by an internal stair. 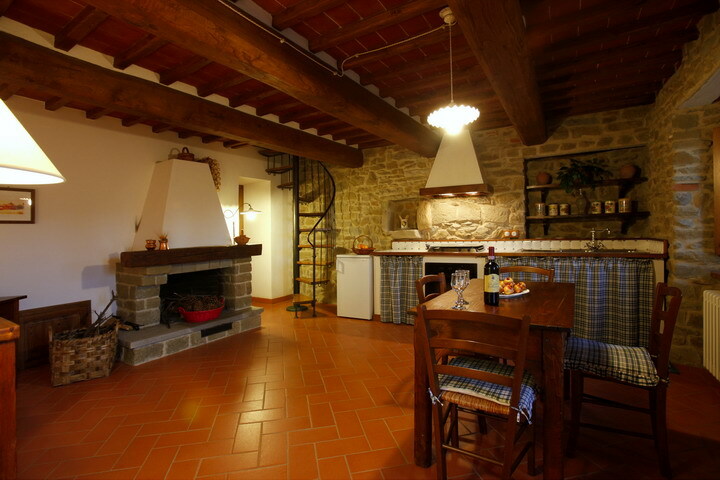 MELOGRANO: Ground floor small kitchen with dining area, living room, bathroom with shower and a double bedroom. First floor one double bedroom and bathroom with shower. 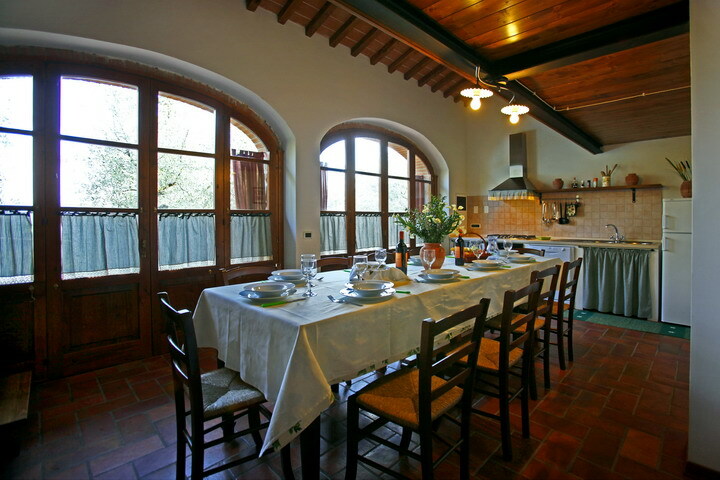 A large Annex with very spaciuos dining room and kitchen is also available, where to enjoy delicious meals and evenings among friends. 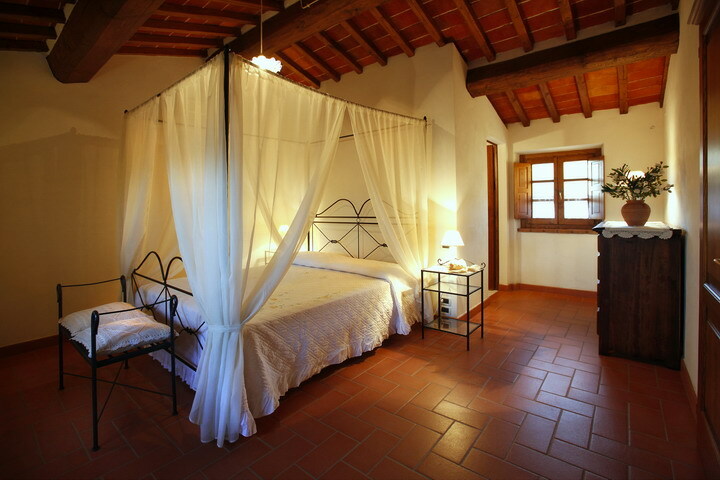 Villa del Colle is ideal for families or friends who wish to spend their vacation together, preserving their own privacy. Nice site, great hospitality, wonderful holiday with our friends. Great pool also for night swimming. Property letting with vacation purpose only. (art. 1, comma 2, lett. c) of the L.9/12/98, n.431 - art.57 Tuscan rules and regulations 23/03/00 n.42 "Testo Unico delle leggi regionali in materia di turismo", and following changing and integrations.